Learn To Be A Knitting Superstar? Hi friends, Dorothy here. In “Become a Knitting Superstar,” Liat Gat, the premier online knitting instructor, has compiled an e-book that will make you more confident and successful as a knitter. Her ‘one step at a time’ video presentations are clear, effective and designed to help anyone achieve knitting success, regardless of their skill level. If only I had had access to a resource like this when I was young, I might be a knitting superstar today! When I was a child, my mother showed me the rudiments of knitting, and I imagine I made a potholder, picking up bad habits along the way. These were compounded some years later when I was expecting my first child and attempted to provide my newborn with my hard-won maternal knitting efforts. After several tedious days, I produced a lovely little lacy sweater/top…at least it was, until I got it wet to block it. It grew several sizes and I wept, seeing my tedious efforts reduced to a stretchy, ungainly blob. I vowed to complete my projects and put away my needles! It hasn’t been until later in my life that I again picked up knitting needles—now at a time in where I am old enough to appreciate the meditative, quieting experience that hand knitting generates. In this e-book, Liat has given an enthusiastic approach to all the basic beginning steps required of beginning or intermediate knitters. And unlike the “old” days with only printed instructions, the collection of videos she uses to illustrate the various techniques are crystal clear, with close-ups of the hands and stitches which allow the viewer to watch, pause, or replay when needed. Going through the videos, in no time at all I had picked up several tips I had not learned back in the days when I was teaching myself. Beginning with casting on to the importance of blocking at the end, every beginning step is covered. Later, major importance is put upon the Round Knitting Revolution, including the newly developed “Magic Loop,” which transforms the whole concept of knitting a circular project. This is an example of how new technologies are transforming the art of knitting, making it even more accessible and pleasurable. All along the way, Liat even has tips and videos troubleshooting the most common problems beginning knitters are sure to encounter. This is a “must” have resource for anyone who is learning or wishing to improve on their basic knitting skills. I would have liked to have seen included a beginning project other than socks. Even now, I don’t expect or desire to produce hand-knit socks…hats are more my style. And I would have liked to have seen an additional video which showed proper seaming technique for assembling a finished flat project, which is critical to the professional look of your garment. With this amazing compilation of techniques and resources you can become a fearless, confident Knitting Superstar. My only regret is that I didn’t have this resource when I was making my first attempts. But at least I have it now and you can too! FeaturedPosted on March 7, 2011 March 20, 2015 Categories Knitting Instructions For BeginnersLeave a comment on Learn To Be A Knitting Superstar? how can you make fingerless gloves? i have been getting a lot of just buy the gloves and cut the finger part off. I’m saying how to MAKE the gloves. plz tell me how to make them with and no more crap about that buying gloves stuff plz. Instead of starting with a tube (the sweater sleeve), you can also start with flat fabric, and sew it into a tube. Or you can add a zipper instead of a seam. 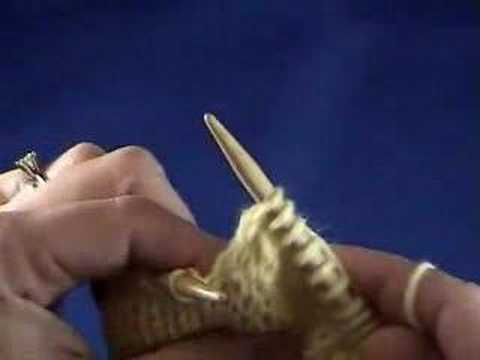 Posted on March 23, 2011 Categories Knitting Socks Video6 Comments on how can you make fingerless gloves? where can i find a good site for learning crochet? Raised treble front or post stitch (rtrf) is used to create a raised rib effect. the hook.Draw the hook backwards pulling the loop through. There are three loops on the hook. Again wrap the yarn over the hook and draw the hook backwards to pull the yarn through the first two loops on the hook. There are now two loops on the hook. Once more, wrap the yarn over the hook. Draw the hook backwards to pull the yarn through the remaining two loops on the hook to complete the stitch. Posted on March 23, 2011 Categories Crochet Instructions Video4 Comments on where can i find a good site for learning crochet? What do you think about this music video from Casting Crowns? It’s a video about the price you pay if you cheat on your husband or wife. This was an amazing video. One of my favorite Christian groups is Casting Crowns. I know this song, but have never watched the video. What an impact. Loved the power that it portrayed about broken lives when you do not be careful what you say, do and see. It can truly shatter lives- however praise God for the healing power of Jesus Christ, and how He can restore broken marriages, and broken lives and hearts. thanks for sharing! Posted on March 23, 2011 Categories Casting On Knitting Video1 Comment on What do you think about this music video from Casting Crowns? Before you try to read the pattern, you need to know the basics of knitting; how to do garter/knit stitch, how to purl, the importance of gaure, how to bind off. What I suggest you do is find a book for a beginning knitter such as Knitting for Dummies or Teach Yourself Visually Knitting to get an idea about yarn weights, how to select the correct needle size and then check out Youtube to get a better idea of how to do the stitches.If you you get stuck you may want to go to your local yarn shop or maybe one of those big chain craft stores and see of someone can help you Once you get all of that down, then try to do a small simple project such as a dish cloth or a scarf so that you can get comfortable with the different types of stitches. Once you get comforable with that, then you can more onto increases and decreases. Don’t try to jump inot a complicated pattern expecting fabulous results, because then you will just get frustrated and never want to knit again. Posted on March 23, 2011 Categories Knitting Instructions For Beginners1 Comment on knitting help!!!? Learn to construct a sock gusset using the magic loop knitting method. No more double points for sock knitting! 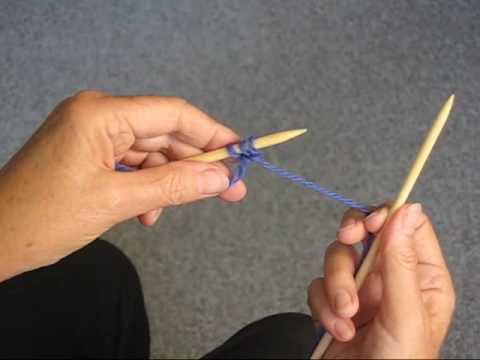 Learning how to pick up a dropped knitting stitch is important. 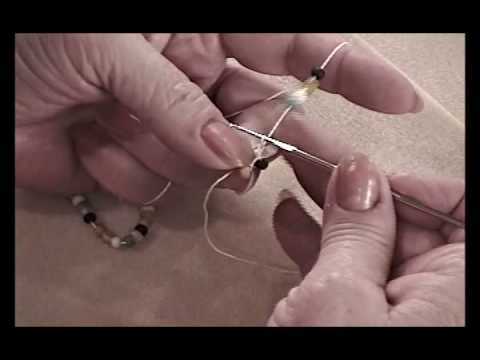 Get tips on using a crochet hook to pick up dropped stitches in this free knitting video. Bio: Jeanette White is the owner of Piper’s Quilts & Comforts in Sugarhouse, UT.